Hi, my name is Tori and I am a PokéMom. Or at least that’s what my five-year-old tells me. 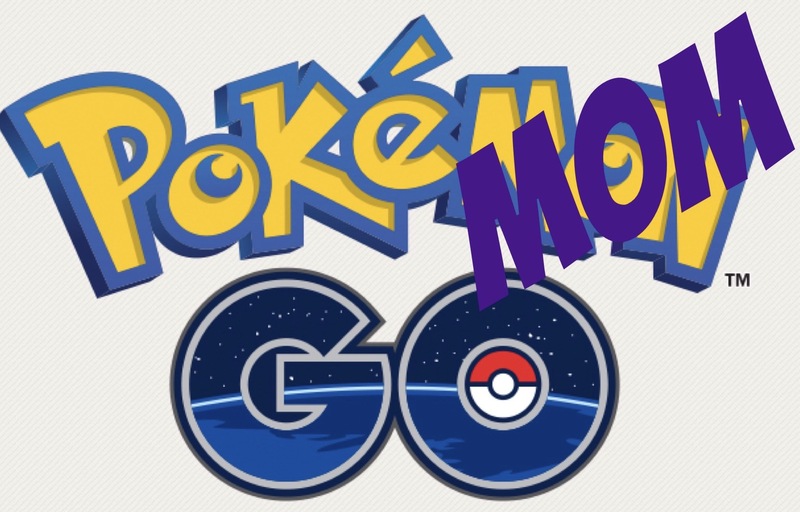 A “PokéMom,” according to Mister Cameron, is a Mom who plays Pokémon Go with her kids. And that would be me. Before we started playing, I had heard all sorts of opinions about the game. Some see it as just another excuse for people to walk around staring at their phones. Some people see it as a fun way to get out and about and even to meet other people. I even heard about a friend of a friend who lost 15 lbs because he and his wife go Pokémon hunting every evening. For us, it has been nothing short of a blessing. I know, weird, right? But, it entered into our lives at exactly the right time and has enriched the past six weeks for us in ways that were really needed. My rise to PokéMotherhood began when our family spent a weekend in a beach house on the Oregon Coast with my parents, my aunt and uncle, and my cousin and his family. My cousin, his kids, and even my aunt had been playing Pokémon Go for over a year now and it’s really, like, a thing for them. Cameron and I had visited my aunt and uncle in Colorado earlier that summer and Cam had a chance to spin a few Pokéstops and catch a few Pokémon. To say that he was intrigued by the whole thing was an understatement. I mean, he’s five and it’s Pokémon. My stance on the issue, however, remained somewhere between responsible parent and first-rate stick-in-the-mud. The idea of introducing yet another screen-based activity that would have an impatient kindergartener clamoring incessantly for my phone sounded only slightly more appealing than a poke in the eye with a sharp stick. But, with the weekend at the coast looming and the carrot of increased opportunities for family bonding dangling, I took the plunge and downloaded the app. If you ask Mister Cameron, he would probably declare this my single greatest act of parenting to date, surpassing in grand fashion even the act of giving birth to him in the first place. Six weeks later, we have already reached Level 23. We got to Level 21 in almost exactly a month. My original intention was for the game to provide Cam with a way to connect with his cousins. As it turns out, it has given us so much more. What follows are the true confessions of this PokéMom about the great things it has brought to our lives. Because of Pokémon Go, both kids and I have logged more hours at more local parks this late summer and early fall than we ever have before, possibly collectively. The game is designed to encourage people to get out and explore their communities and it DEFINITELY done that for us. There is a diligently curated “nest map,” maintained by users in our area, that shows where different Pokémon can be found “nesting” near us and by using that to guide our Pokémon hunts, we have stumbled onto and spent time at really cool outdoor spaces in our community that we might never have explored. We will hit a new park, look around for Pokémon, and then Cam will inevitably hand me the phone and run off to play on whatever play structure is there or head down the trail system ahead of me to explore. Kenzie is with us some of the time as well, shes like to spin Pokéstops and catch the occasional ‘mon herself (her favorites are “da purple mouse” and “da fire unicorn”). Because of Pokémon Go, my own fitness journey has been less miserable. I have continued the work on running and walking in the month since Portland to Coast happened (read more about that here) and Pokémon Go has been a nice distraction and guide for my runs and walks. By “walking,” you can earn precious candy to power up or evolve the Pokémon you choose as your buddy and you can hatch eggs as you walk that might contain rare ‘mon, so I open up the app as I log my miles on the road. I will sometimes locate my runs on trails where certain Pokémon we are hoping to catch can be found nesting so it’s helped me switch up my routes. Spinning Pokéstops as I run by and catching the occasional much-needed or less-common ‘mon along the way helps to break up the pounding of the trails and sidewalks. Because of Pokémon Go, Mister Cameron is learning about things like reading maps and giving directions (“Mom, at the next street turn right. There’s a yellow gym), about saving up for things that you want and spending resources carefully (buying items with Pokécoins, saving up candy for the evolutions), about the long-term payoffs of resisting instant gratification (waiting to evolve your Pokémon until you have a Lucky Egg going to get double XP and other strategic moves), and about choosing carefully what times we go play and about sharing with his sister. Because of Pokémon Go, Cam and I have had a hobby to share in a season when we really, REALLY needed it. He started kindergarten about a month ago and we’ve been walking through the adjustment process as a family. Playing Pokémon Go together has given us excuses to get out of the house and get active, and spend time together- not to mention providing a fantastic distraction for me while he’s at school. I’ve been known to hit the parks, with Kenzie and alone, in search of particular ‘mon I know he’s been hoping for. It’s been kind of like a glue that has helped us hold it together in this season. Cam was helpful enough to write down the combat power values of all our Pidgeys. I have no idea what lies in our Pokéfuture. At press time, we are about 43,000 XP from hitting level 24. We went out today and grinded out about 30,000 XP through Pidgey and Weedle farming and catching a new ‘mon while using a Lucky Egg. The weather is turning cooler and, inevitably for Oregon, rainier so it won’t be as easy for us to get out and about. Maybe we’ll keep going or maybe we will lose interest. We shall see. But it sure has been fun so far and we’ve made some happy memories.